Geoff Foers-Place opened Sussex Tree Works in 2012 following his work as a freelance tree surgery contractor. Geoff studied for his degree at Harper Adams University College and then relocated to Sussex with his (now) wife. Shortly afterwards Geoff began his training in arboriculture at Plumpton College. After working as an independent contractor for some time in order to obtain experience, Geoff undertook some further training and then established Sussex Tree Works. 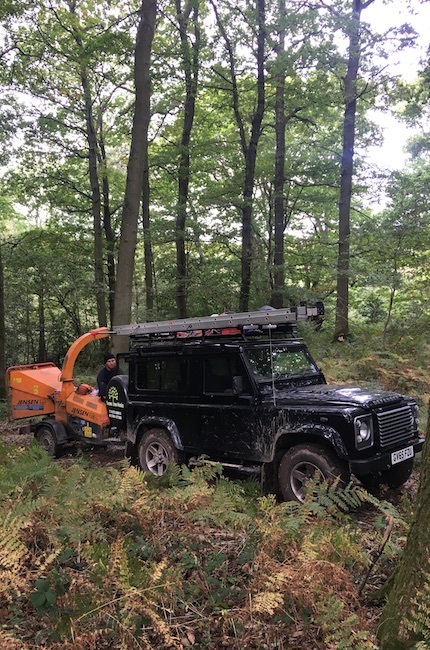 Since opening, Sussex Tree Works has quickly developed a reputation for providing a friendly, reliable and professional service to a wide variety of customers including domestic clients, commercial property owners and managers and rural estates. Reviews of our work can be seen on our Checkatrade page. Further references can be made available on request. In order to provide our customers with the best possible service and with complete peace of mind we work to British Standard BS3998: Recommendations for tree work. Additionally, we fully assess each member of our team's training regularly and fully test and inspect all of our equipment in accordance with statutory requirements (LOLER). The whole team at Sussex Tree Works is highly qualified and expertly skilled. They hold NPTC certification for the work which they undertake, and are pro-active in furthering their training, knowledge and expertise. We run risk assessments for all work undertaken and can provide copies of such should you require them. Sussex Tree Works has £10 million Public Liability Insurance and £10 million Employers Liability Insurance. Click the link to see Copies of our certification.